Next time you’re at a fair and pass one of those magical tables laden with all manner of different pieces, look very closely. That dull black or grey stone sculpture you’d usually pass over may just be worth closer inspection. Rather than just being a rather odd looking sculpture, it may be a treasure from the deepest frozen wastes of the Arctic. 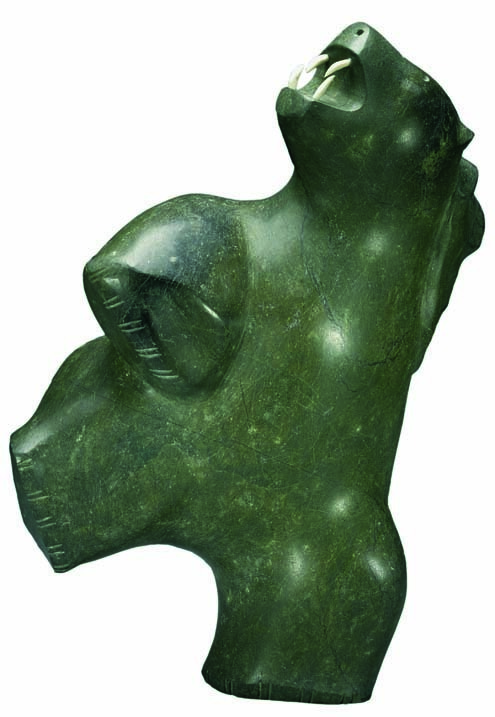 No, I haven’t gone crazy, I’m talking about one of the hottest areas in tribal art today – Inuit sculpture. For those not familiar with the term Inuit, think Eskimo. This more familiar term is actually almost derogatory though, pretty much meaning ‘raw meat eater’. Inuit, however, is their word for ‘the people’ with inuk being the singular, for ‘the person’. Inuit art in the northern reaches of Canada and Alaska goes back thousand of years. Typical early production included tools and elongated figures representing people or animals carved from whalebone or walrus ivory – both common and carveable materials. However, nearly 90% of the sculpture that is collected today is much more modern, and surprisingly dates from the mid 20th century at the earliest. Ever since settlers first made contact with the indigenous tribes, the Inuit have been involved in trade with the wider world. This caused changes within the Inuit lifestyle, opening them up to other factors that changed their traditional habits. Although fur was dominant, there was also a small trade in their crafts. However, the seed for today’s phenomenon was sown in 1930, when the Canadian Handicrafts Guild in Montreal held the first exhibition of Inuit sculpture and art. Despite this, the ensuing Great Depression and WWII put an end to any other developments. In 1948, the intrepid Canadian artist James Houston travelled north for inspiration and was astounded by the creativity of what he saw. The numerous pieces he brought back sold out rapidly and rekindled interest from both the Canadian Government and the powerful Hudson Bay Company. By this point, contact with the wider world had changed the Inuit lifestyle dramatically, and the production and commercial sale of artworks was soon seen as a way of solving many of their inherent problems. As well as providing income, it was also an activity for the harshest downtimes. 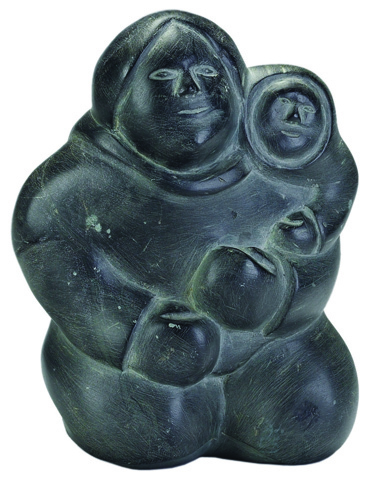 Inuit sculpture reflects the many different facets of Inuit life. The most obvious are those that represent the wild animals they encounter. 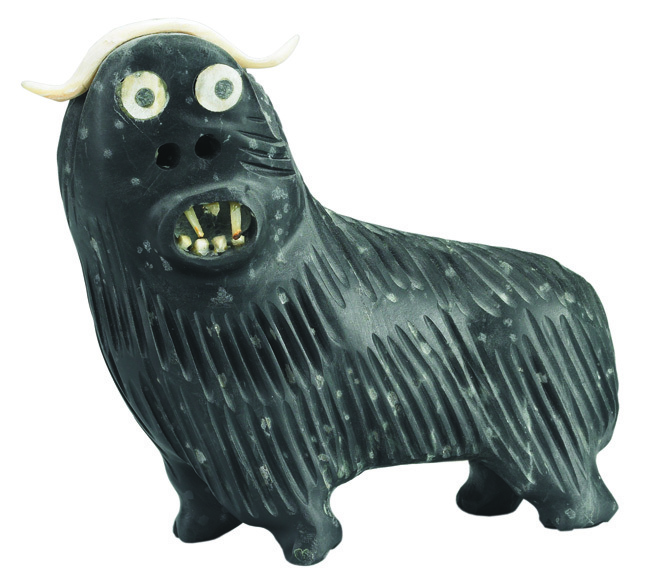 The most feared and powerful of these are polar bears, but musk oxen, eagles, seals and walruses are also depicted. The Inuit themselves form another subject, with charming vignettes of washing clothes, hunting, or a mother and child cuddling together belying the harsh realities of daily life in the Arctic. Perhaps the most fascinating subjects for me are the many myths and legends that were passed down verbally through song from generation to generation. Dreams and mysticism feature large, and many of the most abstracted figural forms represent spirits or shamans, often benevolent, but sometimes malevolent. Mystical ‘transformation’ sculptures also fall into this category, and show elegantly tortuous forms that are caught mid-way, being half human and half animal. Less easy to appreciate immediately are the more abstract forms, where the purest elements of a face are inscribed or carved onto a stone. Despite their small size of often under 6 inches, their monumental appearance and sense of eternal serenity is immensely powerful. Two artists particularly associated with this style are John Pangnark (left) and John Kavik. Since Houston first ventured into the snowy wastes in 1948, Inuit art has seen constant, yet uneven, rises in terms of popularity, desirability and, most recently, value. 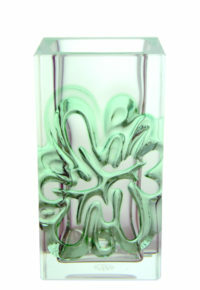 First sold and then collected as tourist novelties, they are now being taken as serious art forms with prices to match. Not all examples fetch dizzying prices however, and away from the more famous names, pleasing and representative examples can be had for under £100. Often much less if the vendor doesn’t realise what they have! On the simplest level, perhaps it’s their unfussy, modern appeal that attracts buyers. Their monochrome tones and simple lines look great in modern or minimalist interiors. As a result, many buyers are in their twenties or thirties – a good sign for the future health of the market. Some forms, such as Pauta Saila’s celebrated dancing polar bears (below), are whimsical and even amusing. 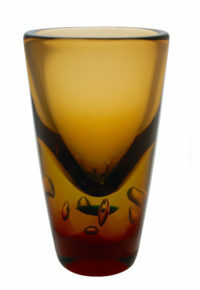 Regardless of how much of a connoisseur you are, they do simply look great. But I’d like to think that there’s more to it than that. Picasso appreciated tribal arts as representing something raw and unadulterated by the modern world – monumental and meaningful forms, loaded with ancient power that speak to our souls. 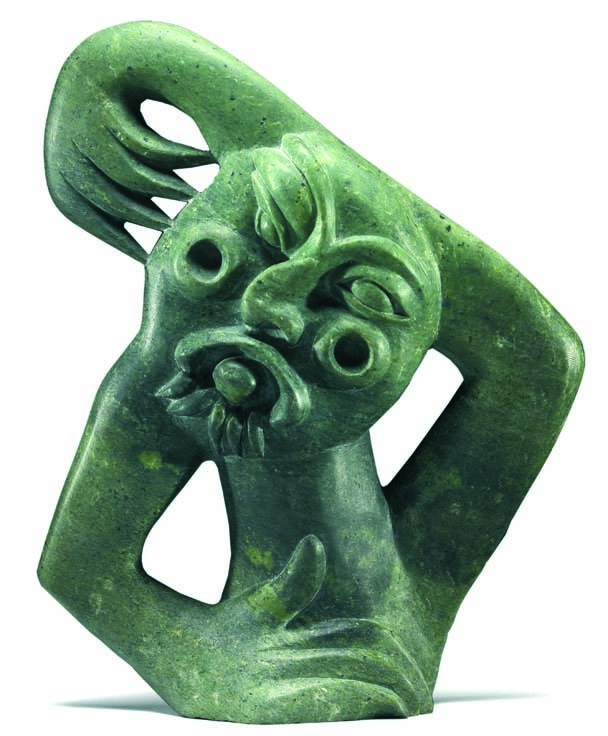 So now we know a little more about the background of Inuit sculpture, and what its appeal may be, how do you start sorting the wheat from the chaff? The first aspect to consider is the form. Animal and human subjects are popular, particularly if they are stylised, even to the extent of becoming humourous. As with most art, the artist is also an important criterion, and two names that spring to mind here are Pauta Saila and Judas Ullulaq (below). As I said above, Saila is celebrated for his dancing polar bears (right) that almost mock these fearsome creatures. Although massive in their stylised forms, his skill is further shown in their almost weightless, delicate poses that also convey a great sense of movement. Highly desirable, his works can fetch anything from £2,000-30,000 at auction today. Ullulaq’s works for me are yet more stylised, almost to cartoonish levels, and typically feature inset ivory or bone eyes or teeth. In a similar league, but representing the more mystical side are the works of Osuitok Ipeelee (above) and Karoo Ashevak. They’re also more valuable too. While works by Ullulaq may fetch anything from high hundreds to low thousand of pounds, those by Ipeelee and particularly Ashevak have been known to fetch over £20,000 recently. As you may have seen, the artist is also very important, but how do you identify them? Many pieces bear signatures inscribed on their bases that look like an alien language. They are, in fact, ‘syllabics’, which are the written signs used to represent certain Inuit vocal sounds. Broadly speaking, reading these signs aloud allows you to pronounce the name of the artist. Another way of identifying the sculptor is to look at a series of numbers inscribed alongside (or instead of) the syllabics, which are known as disc numbers. These were used from the 1940s-70s as a means of identification before forenames and surnames were recorded. Keying this number into the internet is a simpler way of finding out who carved a particular sculpture. A few words of warning, however, if you’re buying contemporary works. As demand from tourists for souvenirs has risen, so has the number of ‘reproductions’. 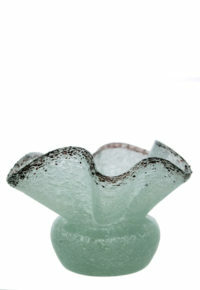 These are typically made from composite stone materials, or even resin, and are cast in a mould. 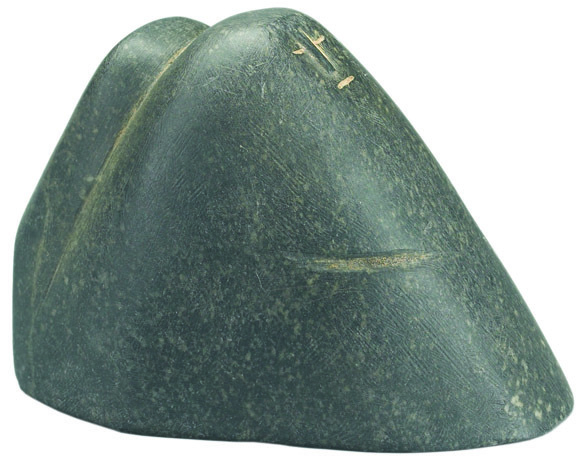 Most authentic contemporary Inuit sculptures will bear a sticker bearing an igloo mark that has been registered by the Canadian government to indicate authenticity. Older pieces will typically not bear this label, so if you’re spending a large sum it’s important to buy from a reputable dealer or auction house. This market really is growing, with sculptures by renowned artists already fetching tens of thousand of pounds. During the 1980s and early ’90s, many of these pieces were disregarded as souvenirs or humble folky craftworks, being sold at auction in groups for a hundred dollars or so. It’s also adapting, with appreciation for new, contemporary artists developing all the time. And that’s why I pointed out the general table at a fair. Who knows how many of these ‘souvenirs’ were brought back, displayed for a while and then given away or sold unwanted and forgotten…waiting for you to discover? Katilvik – An excellent resource site with a searchable database of artists. 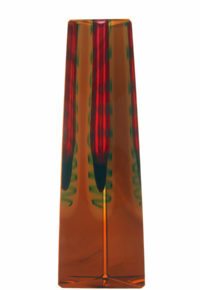 Waddingtons – The best auction house for this area in the world, offering dedicated Inuit art sales. 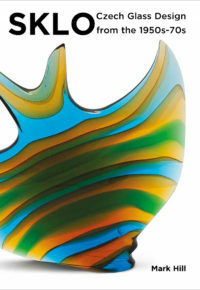 Narhwal Gallery – A London based dealer in Inuit art. Images with thanks to and courtesy of Miller’s, and Waddingtons, Canada. First published in Collect It! magazine.